MECHANICSBURG, Pa. — Sunbury Press has released the bestsellers list for February for its Milford House Press fiction imprint. J. Geoffrey Barber’s romantic Three Rogues at Gettysburg, a historical novel set after the battle, took first place. Jess Steven Hughes took the four spots with his historical novels set in Ancient Rome. The recently-released The Broken Lance was 2nd. The Sign of the Eagle, the first book of the series, took third place. The Wolf of Britannia Part II was tenth, while its partner, Part I, was 13th. Mark Mitten took 4th place with his Western novel Hard to Quit. Dennis Herrick moved up to fifth place with his historical Winter of the Metal People. David Parmalee’s historical romance set around the time of the Civil War, The Sea Is a Thief, climbed to sixth. John Cressler took two spots with his first two books of the Anthems of al-Andalus Series, Shadows in the Shining City at 7th and Emeralds of the Alhambra at 10th place. Carrie Nyman returned to the rankings, taking 8th place with Why Aren’t You Sweet Like Me? Bob Wood’s western Sage followed in 9th place. William Lemanski returned to the rankings with his murder mystery, Murder in Tuxedo Park. Patchtown by Jolene (Busher) Fay stayed in 14th place. Steve Kious’s Sherlock Holmes and the Crater Lake Adventure rounded out the list. Barber’s book sold well due to author activities. Hughes’ books continue to sell well through bookstore events in the Pacific Northwest. Mitten’s books have been selling well online. 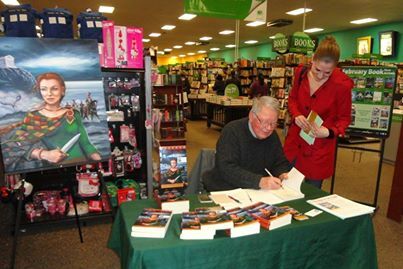 Herrick continues to hold author events to maintain his sales. The others were helped by publisher publicity and/or Kindle sales. Imperial Rome, starting with the first emperor Augustus, spanned about 500 years, and was ruled by approximately 65 emperors (depending how you count usurpers, upstarts, and self-proclaimed tyrants). So the average tenure of a Roman emperor was a little less than 8 years, and few of them died of natural causes. The Sign of the Eagle is set in the early reign of Vespasian, who took the throne during the chaotic year of four emperors (69 A.D.). This was an era of barbarian invasions, sinister political plots, and military unrest when any given general stationed in the provinces could declare himself emperor and advance with his army upon Rome on any particular day. This is the backdrop of The Sign of the Eagle, a fast-paced and extremely enjoyable historical novel. Protagonist Macha, the daughter of a Celtic king, is married to Roman tribune Titus. She is told by an envoy that her husband has been arrested for treason, and is part of a conspiracy to overthrow Vespasian. Macha does not take this news sitting down, plunging into a suspenseful mission to discover the truth and exonerate her husband. The bodies of people who know too much are falling all around her, but this does not deter the dedicated and courageous Macha from her single minded pursuit ,that will free her husband and save the emperor. I am particularly impressed by the verisimilitude that the author achieves. It is clear that he has done his research and is very familiar not only with historical facts and places, but with the beliefs, habits and everyday life of citizens of every strata of Roman society. This was a very enjoyable and informative novel, and I look forward to upcoming works of historical fiction by Jess Steven Hughes. 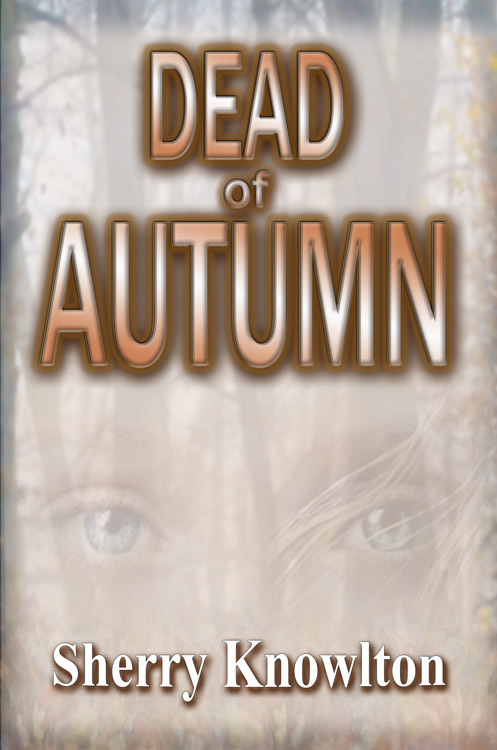 Spend some time in Ancient Rome, solving mystery upon mystery as a British Celtic woman raised a Roman tries to clear the name of Titus, the Roman tribune who is her husband. Got that? The Sign of the Eagle is a crime thriller, a police procedural, and a correct historical with all the vocabulary and scholarship necessary, rolled into one delicious package. Threats and plots reach all the way up from the garden villa of our heroine, Macha, to the court of the Roman Emperor Vespasian. Macha’s husband Titus is a professional cavalry soldier. When Titus is accused of treason, Macha’s adventure goes into high gear, with everything she loves at stake. Rather than ruin the story for you, I’ll not dwell on the plot beyond saying it has turns and twists enough for any modern reader. This book also has the feel of its period: every detail is correct, from swords and cavalry tack to combs and pins for our Celtic heroine’s red hair. Don’t mistake me: this novel is neither bodice ripper nor dissertation, but a full blown novel of ancient Rome that at times reminded me of Ecco’s “Name of the Rose.” Want to let that sink in? 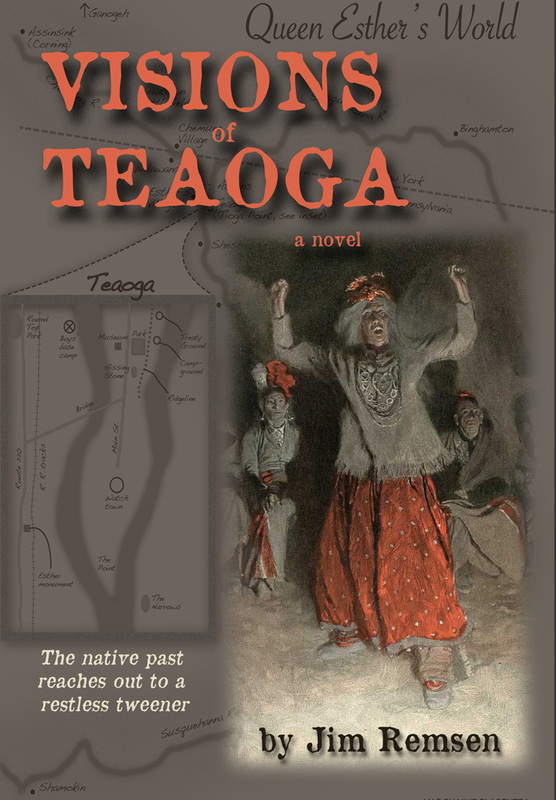 Yes, this is a real historical novel, not a romance in ancient clothing nor a gamer’s how-to book. Good novels are rare, good historical novels even rarer. Buy this book and read it. Buy a couple to give your more literate friends for Christmas. I bought the trade paper and its production values are excellent; the print is easy to read, the prose crisp and as sharp and clear as you’d expect from an author such as Jess Hughes, who has been a police detective and Marine Corps veteran. Hughes knows war and intrigue and human failings firsthand. What Hughes has learned in life informs this novel with his expertise in treachery, in war, and in crime, lending this story great substance without ever being wordy or awkward. Men will be as diverted as women by this novel, part action-adventure, part suspenseful thriller, and part a ticket to another place and time. The Sign of the Eagle is satisfyingly complete in itself, yet also forms the first half of Hughes’ duology set in the 1st century AD. The next book by Jess Steven Hughes, one hopes, is coming soon. MECHANICSBURG, Pa. — The Sign of the Eagle, Jess Steven Hughes’ Roman historical fiction novel, ranked #1 due to author activities in the Pacific Northwest. Jess has been diligent at making appearances at book stores in his region, preferring the Hastings chain over Barnes and Noble. Vivacious and iron-willed, Macha undertakes a dangerous journey and fight for her life to evade assassins through the city’s treacherous back alleys, notorious bath houses, and the awe-inspiring palaces of the Roman elite. With time running out to save her husband and the emperor from certain death, Macha can count on only two allies, the esteemed Senator Bassus-a family friend-and her faithful slave, a resolute and clever Moorish woman, Shafer. Arrayed against Macha and Titus are the wealthy and wicked Pollia, once scorned as a bride by Titus, and Falco, a military tribune and womanizer, who offers to be Macha’s protector once Titus is condemned and executed. Though still impacted by weather, Sunbury Press sales recovered from January, posting a 48% gain month to month. However, the February number was still down from February 2013, and even with February 2012. Karim El Koussa’s Jesus the Phoenician moved up on the list, taking #2, thanks to export sales to Lebanon. 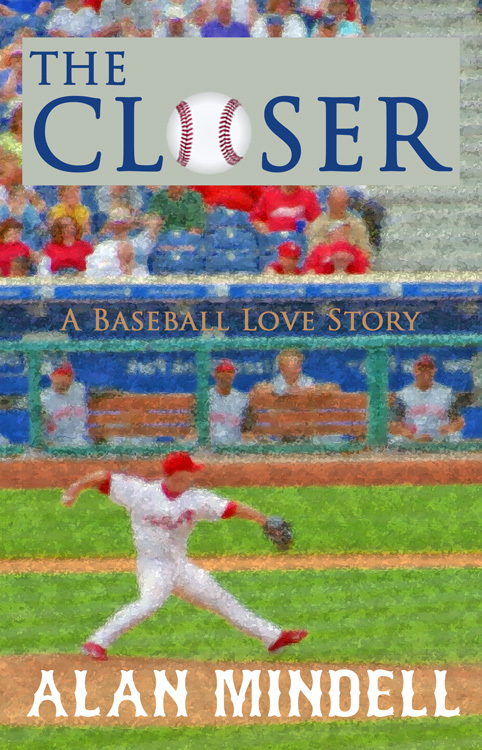 Alan Mindell’s baseball love story, The Closer, last month’s #1, slipped to #3. 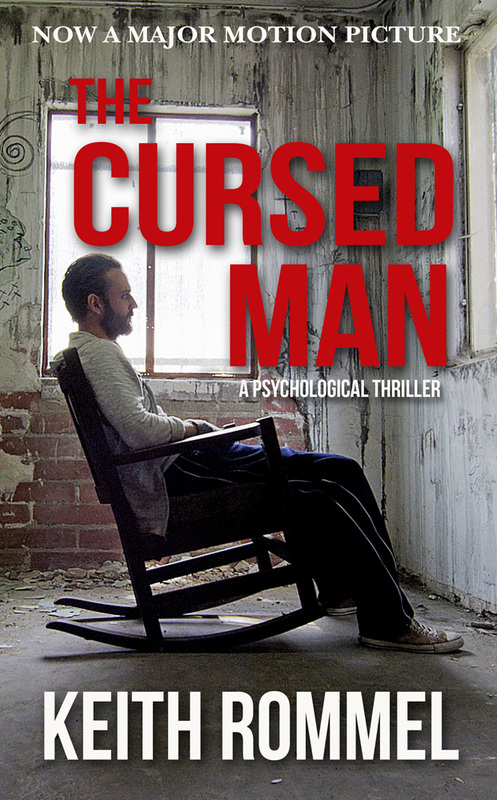 Keith Rommel’s The Cursed Man, the 2010 psycho-thriller now being made into a Hollywoood movie, finally broke through the top 10, thanks to regional sales in southern Florida and increasing interest worldwide. Judi Markowitz’s The View from Four Foot Two, a medical memoir about her daughter, held strong at #5, thanks to media attention. John Scanlan’s new release, Victims of Circumstance, debuted at #6 thanks to author activities and regional interest in Florida. Amanda Brown’s Max’s Clips led the childrens category, cutting in at #7 thanks to author and illustrator activities. Star Power, Jim Whelan and Doug Brode’s self-help book, applying Hollywood techniques to your day-today life, ranked #8 thanks to author activities. Dennis Herrick’s Winter of the Metal People, about the Tiguex War in New Mexico between the Spanish conqustadors and Pueblo Indians, slid to #10. Victims of Circumstance by John Scanlan, The Death of Obsession by Ray Fashona and Fatal Snowby Robert Walton. 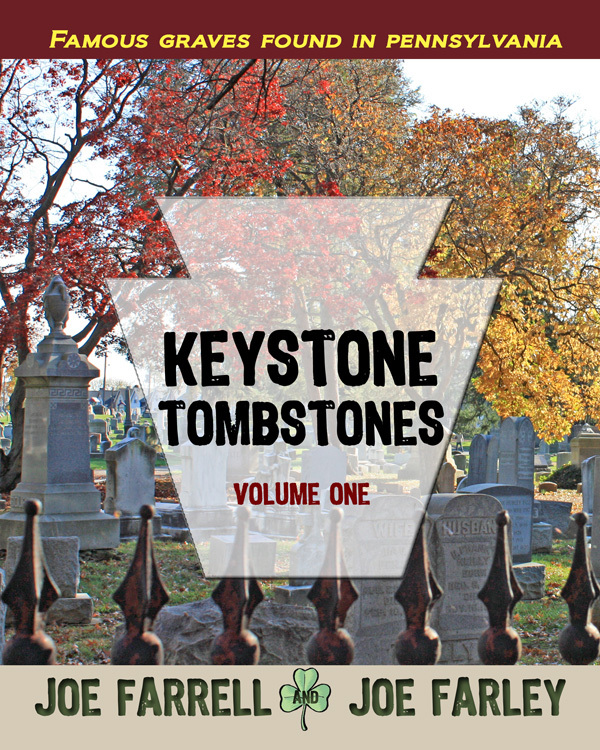 MECHANICSBURG, PA — Sunbury Press has announced the winners of their annual book awards, dubbed the “Sunnies.” Keystone Tombstones Volume One, by Joe Farrell and Joe Farley was the top selling book of the year. The Joes also grabbed the #7 spot with the 2nd volume in the series. The strong finish for the series earned the pair Sunbury Press Authors of the Year. The duo had been Sunbury Press Emerging Authors in 2011. Preston Nuttall, the author of the Civil War novel The Amish Rebel, earned the honor of Sunbury Press Fiction Author of the Year for 2012. Fall, 1861. America has entered a deadly civil war to settle the issue of the rights of the states – notably the right to allow slavery – versus the rights of the central government. From bases at Hampton Roads and elsewhere, warships of the powerful Federal Navy patrol the southern coast enforcing a naval blockade against the South. In Virginia, the Chesapeake Bay and its tributaries are a primary hunting ground for Union gunboats ferreting out supplies destined for the rebel army. Raids on the farms, plantations and towns bordering the rivers and inlets are commonplace. When a Union gunboat ascends the Mattaponi River and raids the Amish farm of the Buckner family, Jacob Buckner’s long-standing doubts about the Amish way of life reach the boiling point. Violence breaks out, and in a fit of rage, Jacob ignores his parents’ admonition to “turn the other cheek”. 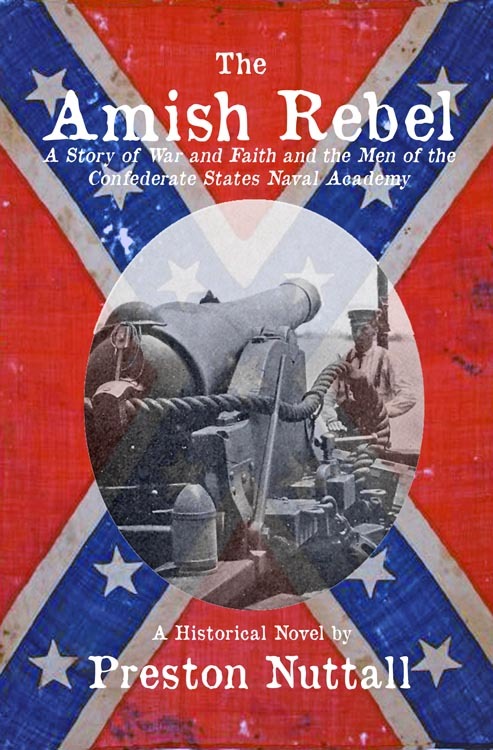 His action unleashes a chain of events that carry him into the Confederate Navy and a world of deadly combat, betrayal and romance as far removed from the Amish way of life as he could possibly imagine. But it is a world that places him on the stage of history and unveils the true Jacob Buckner. Jess Steven Hughes was honored with Sunbury Press Emerging Author for 2012. 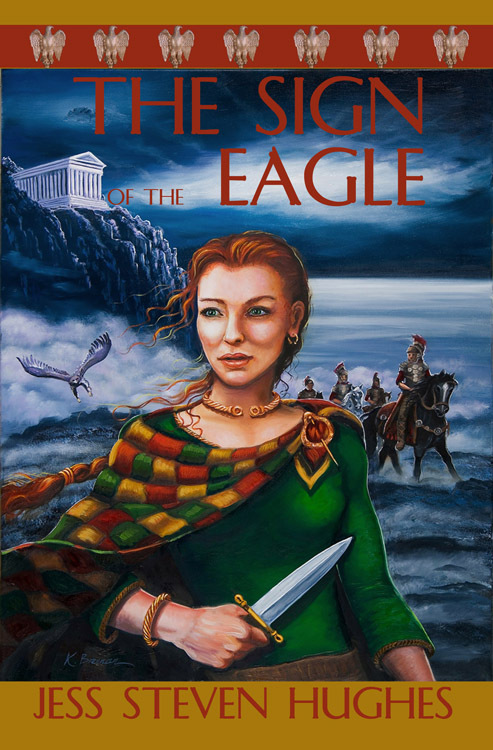 Jess is the author of The Sign of the Eagle, a historical novel based in Roman times. A series is expected.